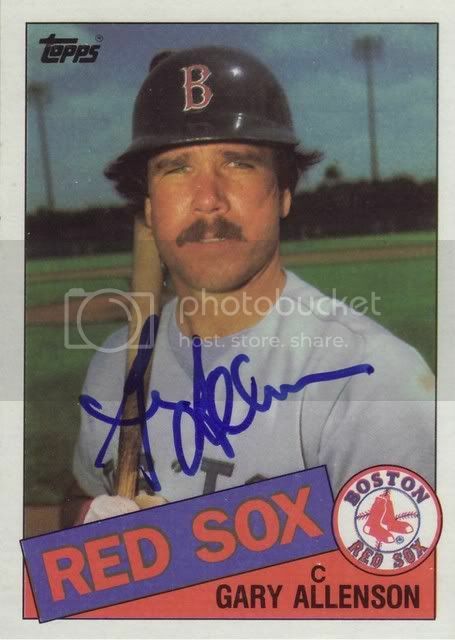 Catcher Gary Allenson played in Pawtucket in 1977 and 1978. In '77, Allenson only played in three games. In '78, he played in 133 games, which is a lot for a catcher. That same year, Allenson played 13 games at first. So that was helpful, GARY. Pawtucket's 1978 record was 81-59, so looks like Allenson only sat for seven games. What is he, some kind of tough guy? Well, he was IL MVP that year. He also finished the year with the highest AVG (.299) and OPS (.913). Allenson came in first on the team for doubles and hits, second place for home runs, walks and RBI. He was only 23 years old. I WOULD HAVE LOVED THIS GUY. Allenson's a coach in Baltimore now, but over the past few years he's returned to McCoy as manager of the AAA Norfolk Tides. So I'm sure he knows where to get the best omelets and burritos and so forth. 1. In 1978, Allenson was tied for second in the International League in doubles. 2. "Hey, Gary! New York Times Magazine, Gary!" Gary Allenson's majestic likeness is located in the upper portion of the first base tower.